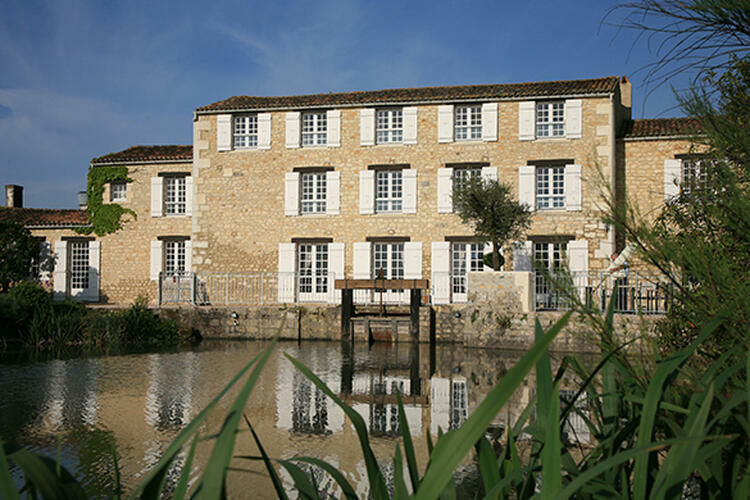 Between Royan and Rochefort, this former mill has been restored into a charming hotel complex, with warm and modern colors. 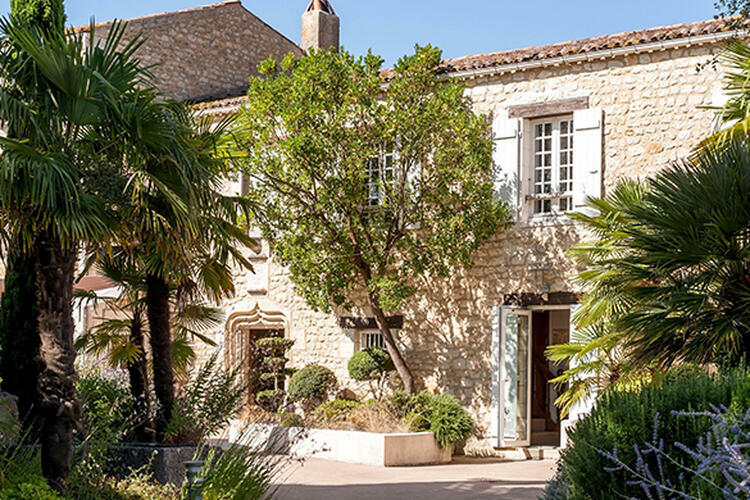 Discover the heart of the Marais Poitevin, a rare place with refined and contemporary decoration. Here, everything is comfort, relaxation and pleasure of the table. 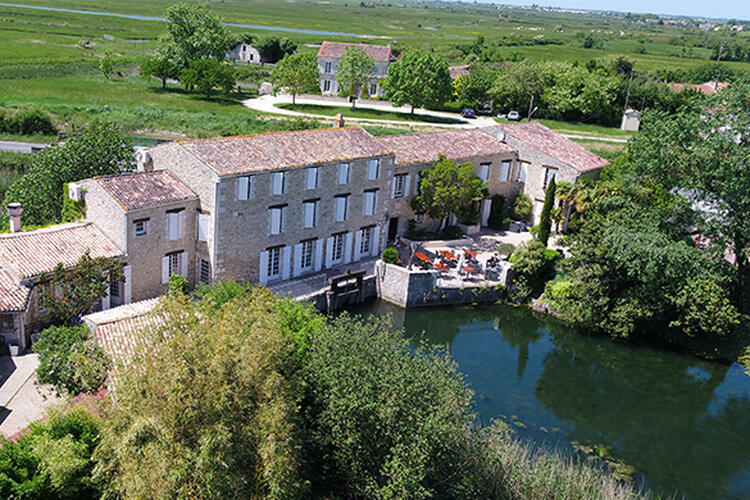 Maxime and Céline have at heart to offer you a warm welcome and a romantic atmosphere, in a park crisscrossed by the meanders of the river "La Course" running through the mill. 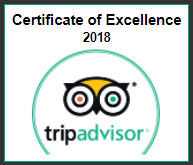 Welcome to our haven of peace! 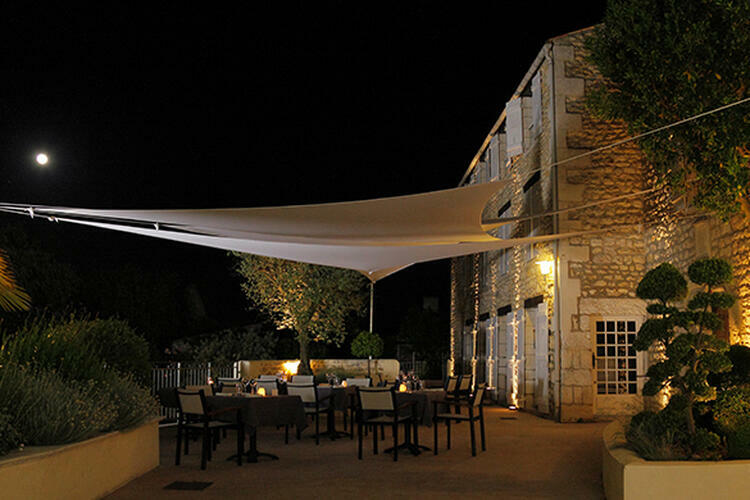 The hotel-restaurant Le Moulin de Châlons offers 10 spacious rooms, each with a personalized decoration. 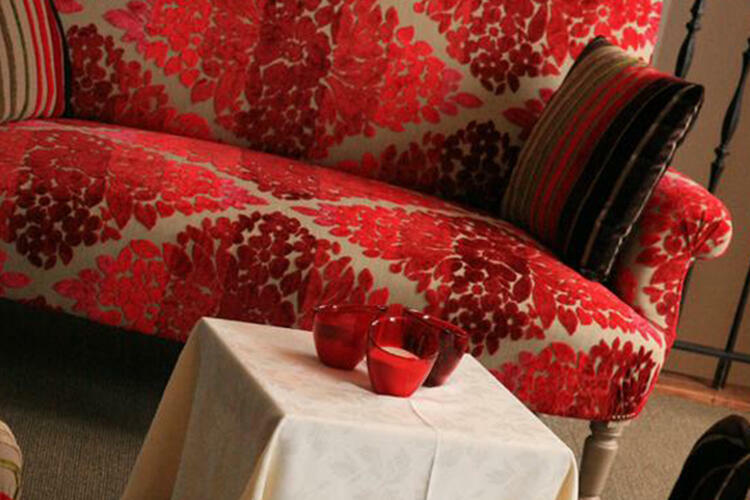 Warm colors, wooden furniture, they all have an undeniable cachet. Very comfortable, they are equipped with air conditioning, flat screen television, and have free wifi. In the morning, a delicious breakfast will be waiting for you in the dining room. Relax! The table of the Moulin de Châlons is a harmony of light perfumes, natural tastes, fine bouquets and great conviviality. How to resist the call of the senses? You will fall under the charm of the blond stones, the warm welcome and our terrace where, on sunny days, you will taste our local gastronomy. 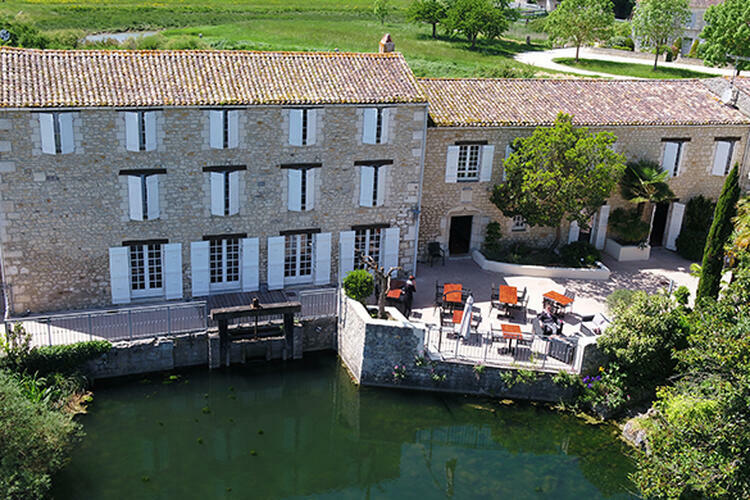 The Moulin de Châlons also proposes to welcome your family meals, seminars and receptions.